Thanksgiving! It is a celebration, a tradition, it is a good thing. No matter how many stories we hear about how Thanksgiving started, it doesn’t matter. The point is there is a day set aside to express that we are thankful. There are so many things that happen throughout the year, good and not so good. Even through extreme trials Job answered his wife, Job 2:10 He replied, “You are talking like a foolish[b] woman. Shall we accept good from God, and not trouble?” Life is not peaches and cream, but more like a rose, beauty, fragrance and thorns. The answer in 1 Thessalonians 5:16 “Rejoice always, 17 pray continually, 18 give thanks in all circumstances; for this is God’s will for you in Christ Jesus.” NIV. In the King James it says, “In everything give thanks. for this is the will of God in Christ Jesus concerning you.” If we ever wonder what is God’s will for me in my life, this is one of them: Rejoice, In everything give thanks, Pray continually. Many years ago, I went through a very difficult time. My heart and soul were wounded to the bone. I wept, ran to my bedroom and fell to my knees. Weeping and crying out to God, I told Him I would praise Him and be thankful, because He said so. It was the hardest thing for me to do. I lifted my hands and tried to force my words of praise to my Lord. Then I tried to sing a worship song to Him. You know how you sound when your bawling your eyes out and trying to talk, right? That’s how I sounded trying to sing. One trembling word at a time came out,until I noticed my voice wasn’t trembling as much, it was more steady. My heart wasn’t as heavy, and my spirit wasn’t as down. I asked the Lord, “Why do you make me do this, to praise and rejoice, give thanks and pray when I am so grieved and hurt?” The answer I received was, “So you can overcome, and not fall into worse depression. You will be able to forgive easier. It will strengthen you and you will not lose faith.” Then I cried again, not because of the pain and hurt, but because my God and Savior Jesus Christ loved me so much. He knows exactly what we need to do to get through life. First of all I am thankful for Jesus Christ, my Lord and my God, and His Holy Spirit. My family and relatives mean the world to me. I thank God always for them and my friends. I am thankful that I live in a country where we can still worship freely and read the Bible without being beheaded. Whether there are good or bad situations, I am thankful for what I can learn and glean from them, and try to build my faith and character (I’m not saying it’s easy). Whew, I could go on an on. Find one thing to be thankful for and rejoice, be thankful, and pray. This commandment isn’t just for Thanksgiving by the way;It is daily. 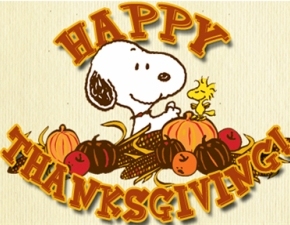 Have a wonderful and thankful Thanksgiving!! !